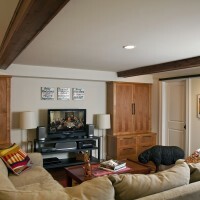 Designed and Built by TreHus. 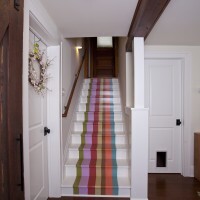 The owners of this recently finished basement are a creative and colorful couple, and we did our best to reflect their personalities in our design. 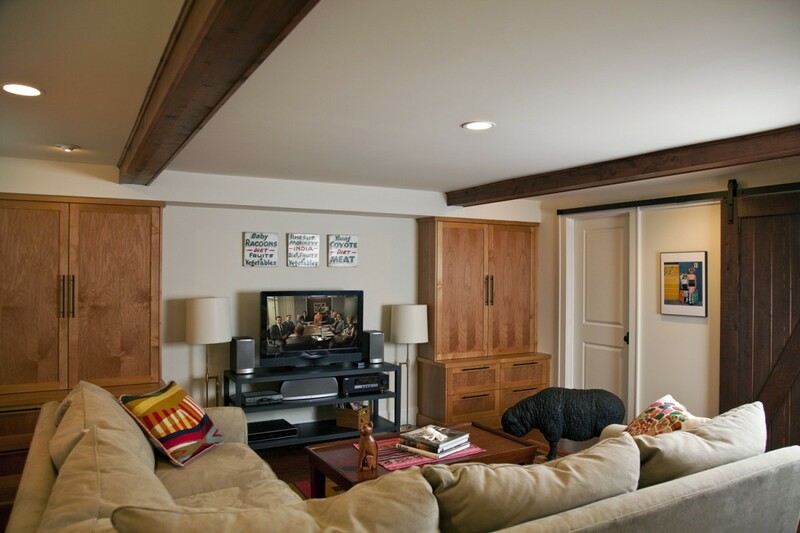 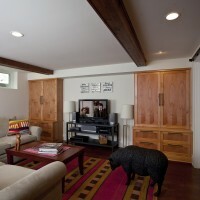 Clear alder custom cabinets, a floating wood floor, and ceiling beams make the space interesting. 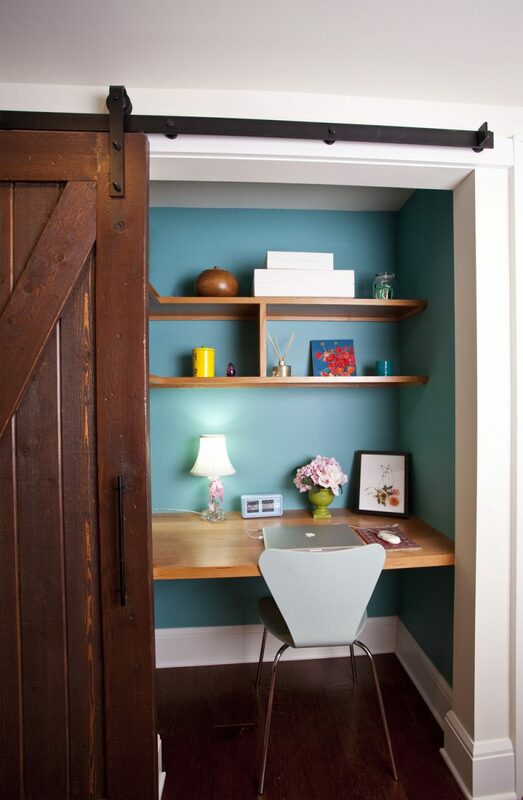 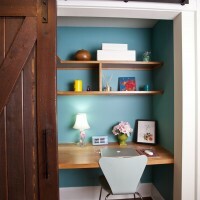 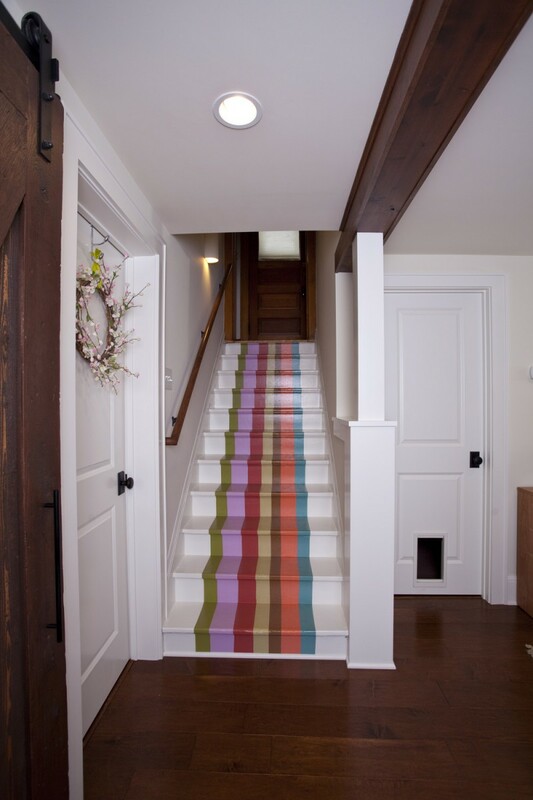 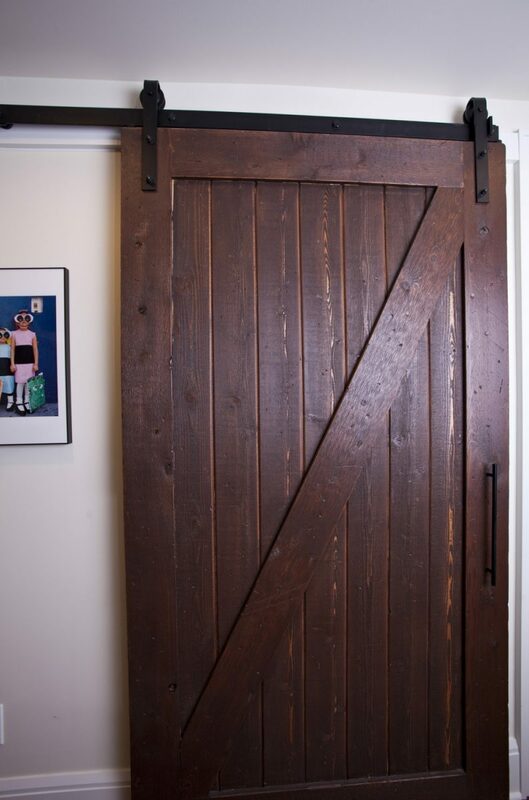 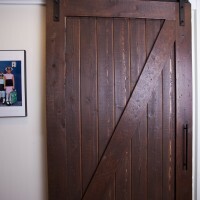 A barn door hides a built in desk, and the staircase is painted with rainbow colors. 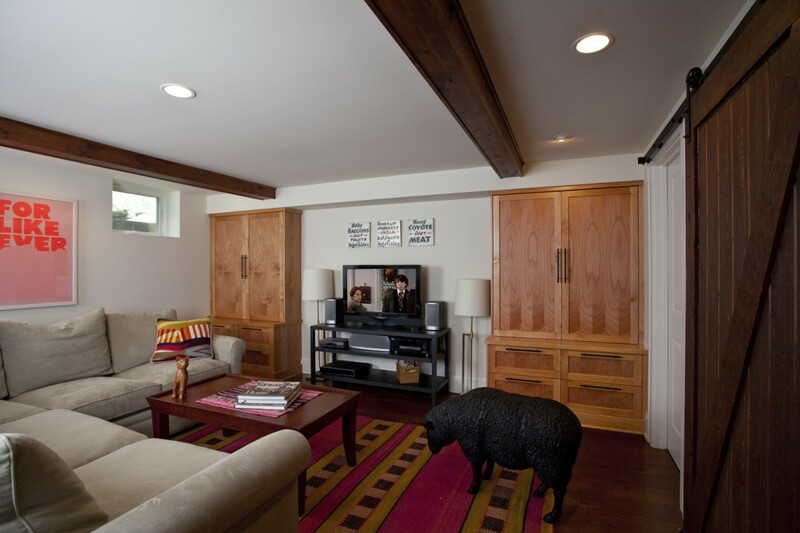 The owners’ decor confirms the space’s funky character – notice the prominently placed black sheep…..
To be agents of beauty and order in all that we do.